Joe Browns Under The Sea Saddle Bag is rated 4.8 out of 5 by 6. Exclusive to us in sizes 20-32. 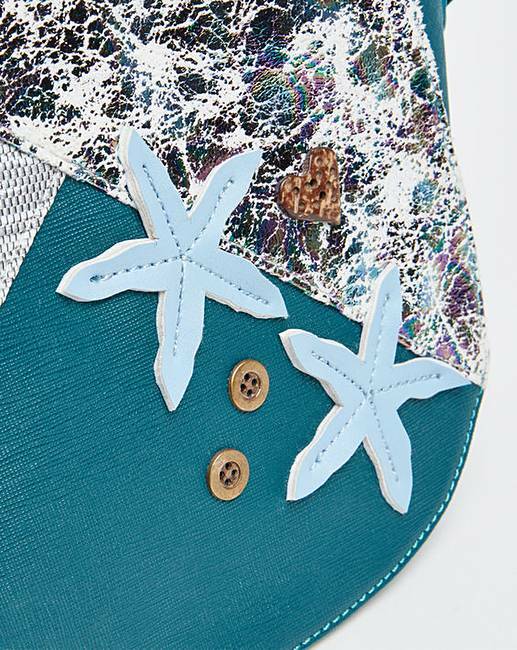 Update your accessories collection and jazz up any outfit with this uniquely styled 'under the sea' bag from Joe Browns. 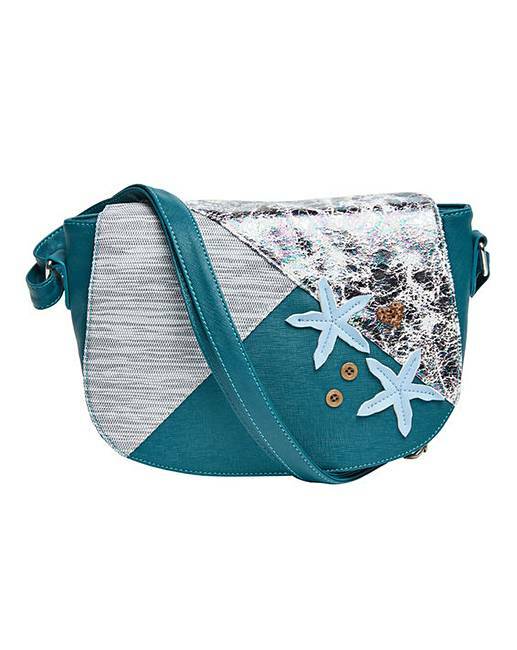 In a beautiful blue shade and featuring stylish flashes of silver, this saddle bag is decorated with starfishes and cute contrasting buttons for an added trendy touch. Team it with all your favourite outfits and get ready to step out in style. L.18 x W.28 x D.10.5cm. Polyurethane. Lining: 80% Polyester, 20% Cotton. Rated 5 out of 5 by Ele66 from Compact and pretty I bought this at a reduced price as it did seem expensive for a small bag before the reduction. I am very pleased with it. Vibrant colours, room for a purse, phone etc. Ideal cross-body for a shopping trip. 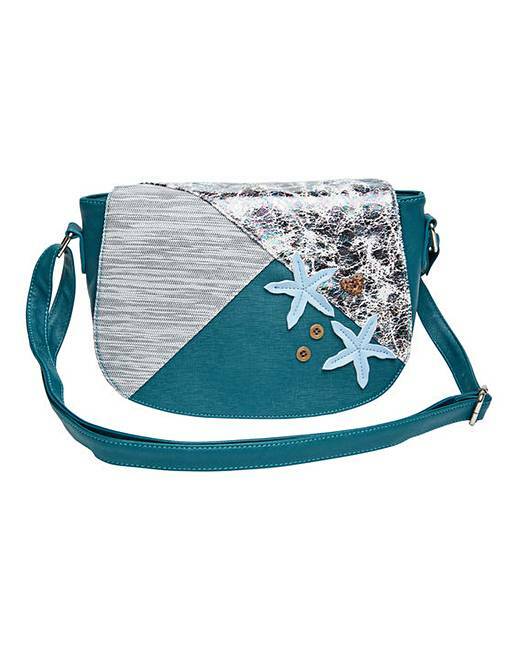 Rated 5 out of 5 by Catherine from Joe Brown bag I love Joe Brown fashion and accessories because they can be a bit querky, well made and that bit different. The bag l bought being no exception, great colour and design. Rated 5 out of 5 by 123vanessablue from Quirky, outstanding features, great bag! I bought this as a Christmas present. Joe Browns quality and craftsmanship shines through with a quality design that’s functional as well as being fashionable. Rated 5 out of 5 by SueB from Stylish and quirky I bought this as a gift for my daughter who absolutely loves it! Rated 4 out of 5 by Rayne from Very nice holiday bag I think the bag is a bit overpriced; but This is a great seaside holiday bag. The strap is comfortably long enough for cross body wearing which I prefer when traveling and the pattern on the bag is fun.